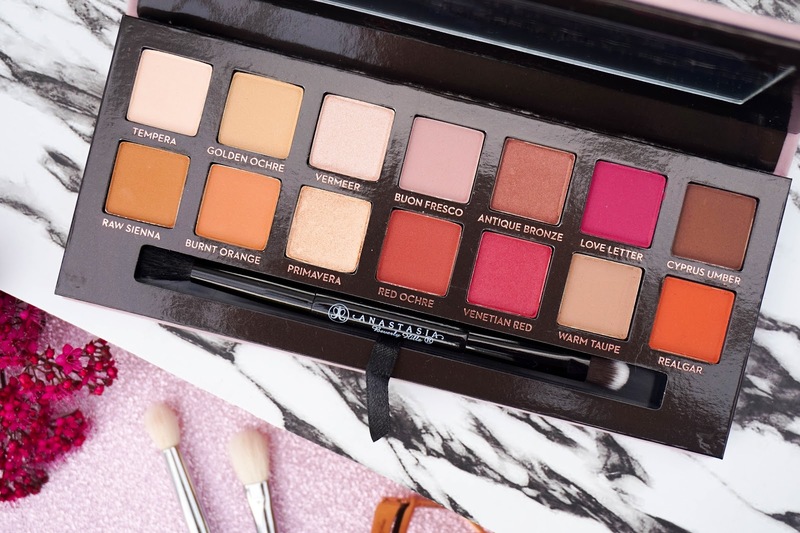 This review is going to be a completely positive one because I absolutely love this palette, from the packaging to the actual shade selection. 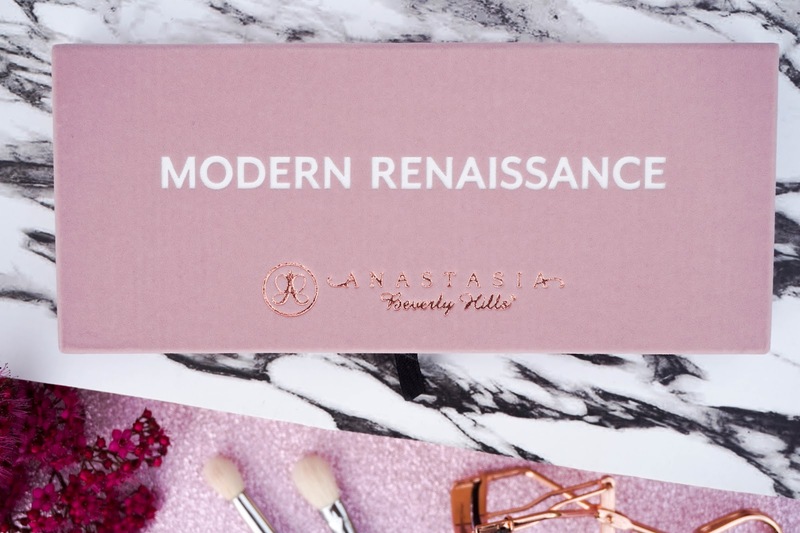 It's my first time trying out the ever so popular ABH eyeshadows and I'm so impressed not only with the formula & quality, but also the overall feel of the palette. 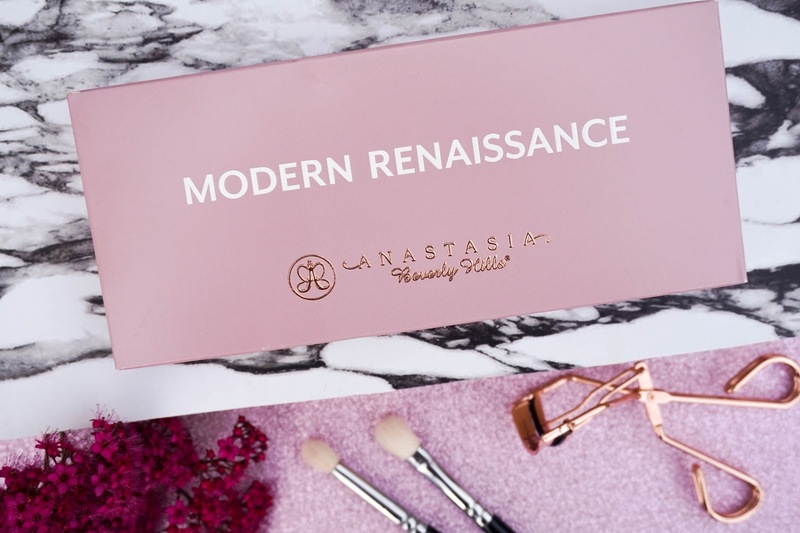 The packaging is made from thick and sturdy cardboard, with a pink velvety finish... this is no doubt stunning but I do have a feeling it will be a nightmare to keep clean in the future (despite this, I still love it). 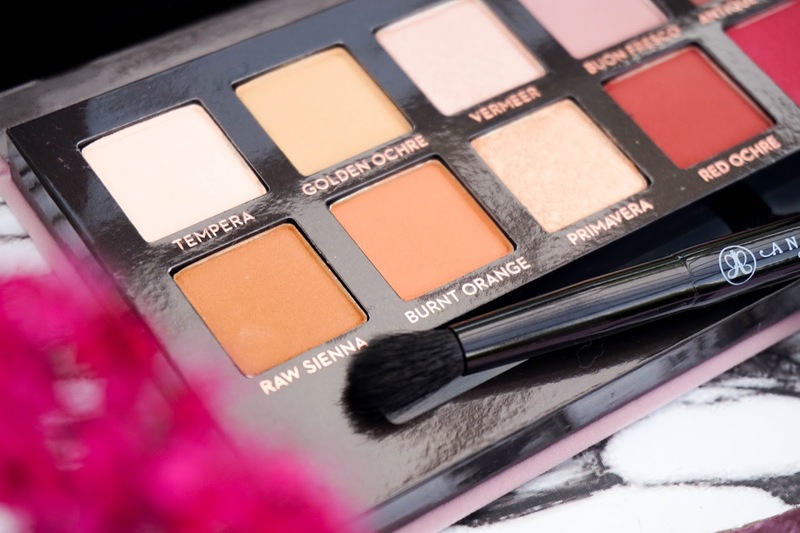 It also includes a relatively good sized mirror and a dual ended brush, which is quite soft to use but not my favourite amongst my MAC or Zoeva options. 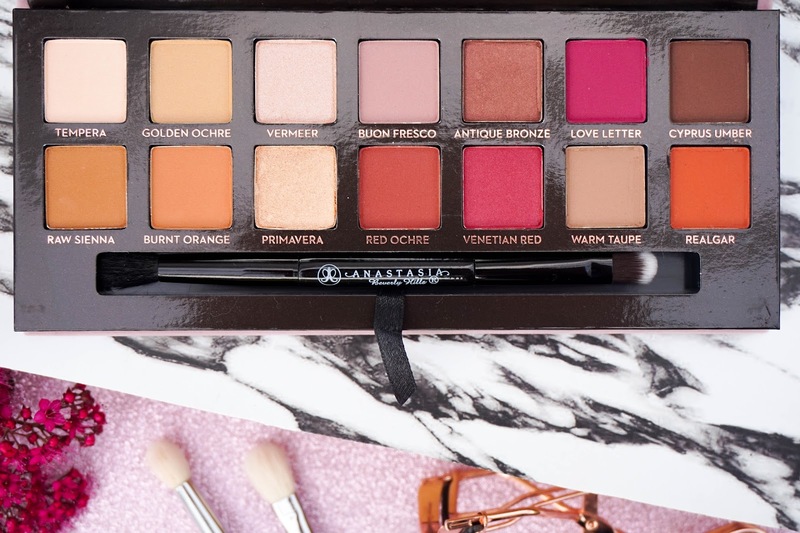 This is a completely warm toned palette, with a stunning mix of orange & pink tones... not only perfect for both day & night makeup looks, but also great for experimenting. The shade selection and names have been inspired by Renaissance art, a concept which I find intriguing. 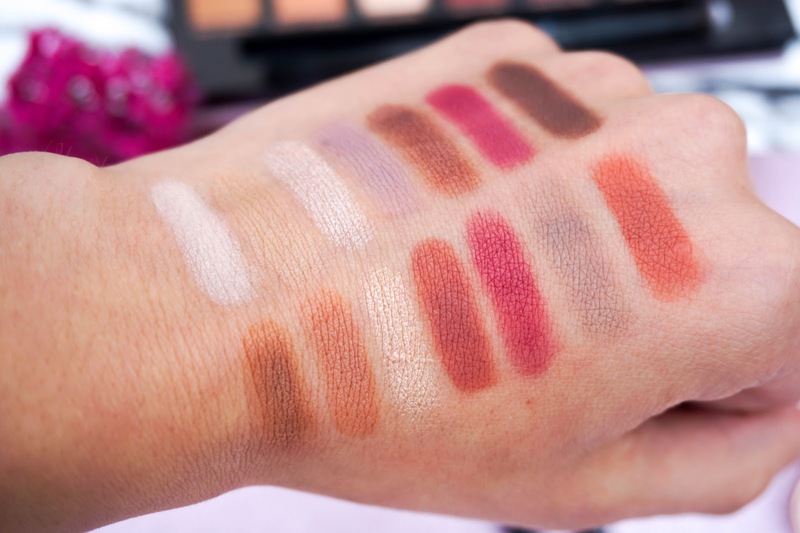 There's 14 shades to choose from, with 11 mattes and 3 satin metallics. 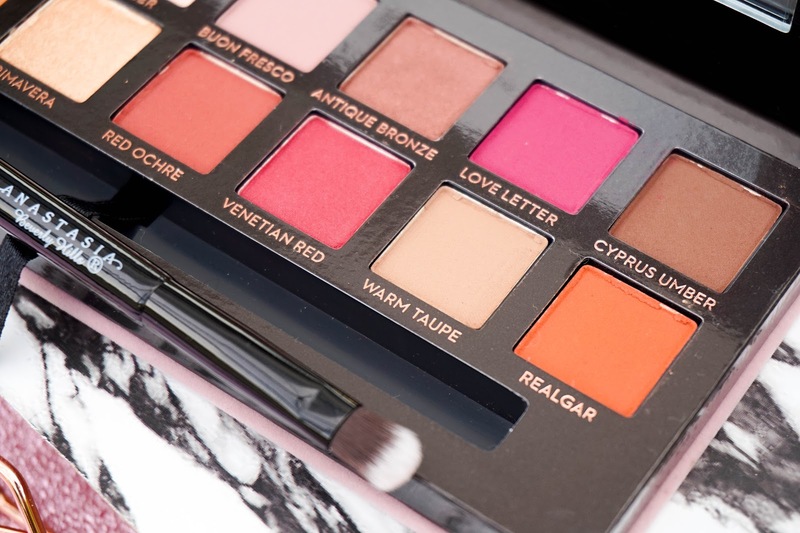 Every single shade is highly pigmented and they all feel velvety smooth to the touch. 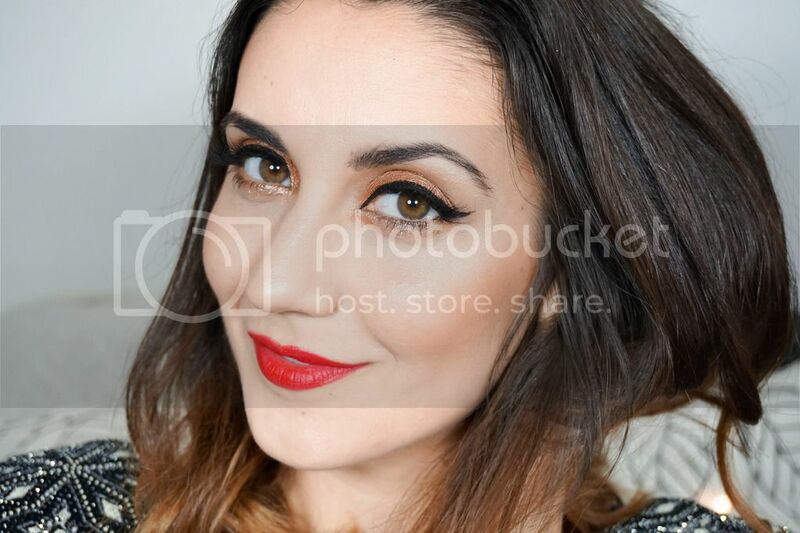 The buttery texture is easy to blend and even though most of the shades are matte, you can easily create a smokey eye without much effort (no hand cramps from too much blending here that's for sure).